Please complete the form below and your enquiry will be sent directly to Sara Abbott Studio via email. Your enquiry has been sent to Sara Abbott Studio. 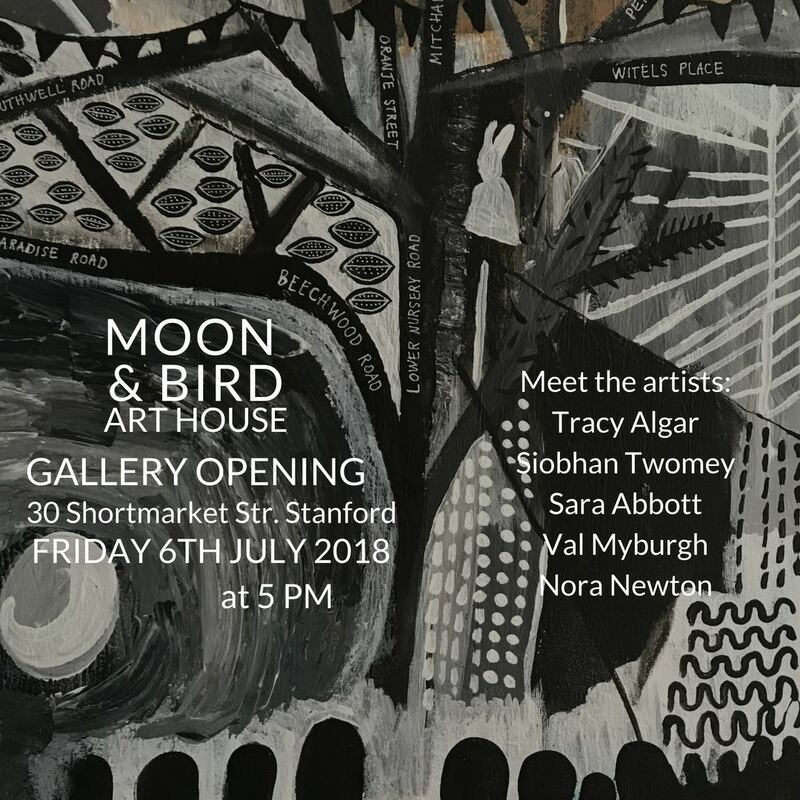 Join us for the Moon & Bird Art House gallery opening! I have been invited to join Jenny Jackson's Gallery 19 in Hermanus. Artist Greg Kerr is teaching his course on Decalcomania from my home in Stanford.